MNSC dinner at Seventh Son, hosted by Curry. 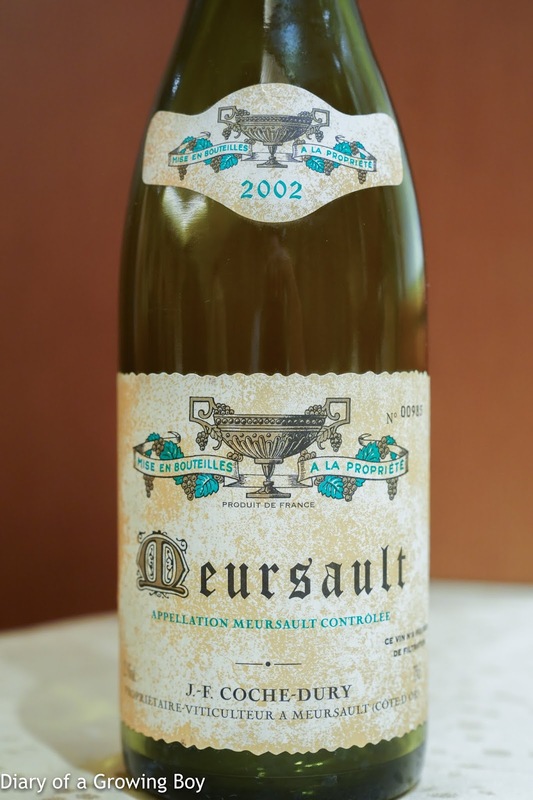 2002 Coche-Dury Meursault - served 5 hours after opening. Nice and toasty nose, with lemon citrus but also a hint of dustiness. Good acidity on the palate with a bit of ripeness. First pair: decanted 30 minutes after opening, and served 1 hour and 15 minutes after decanting. 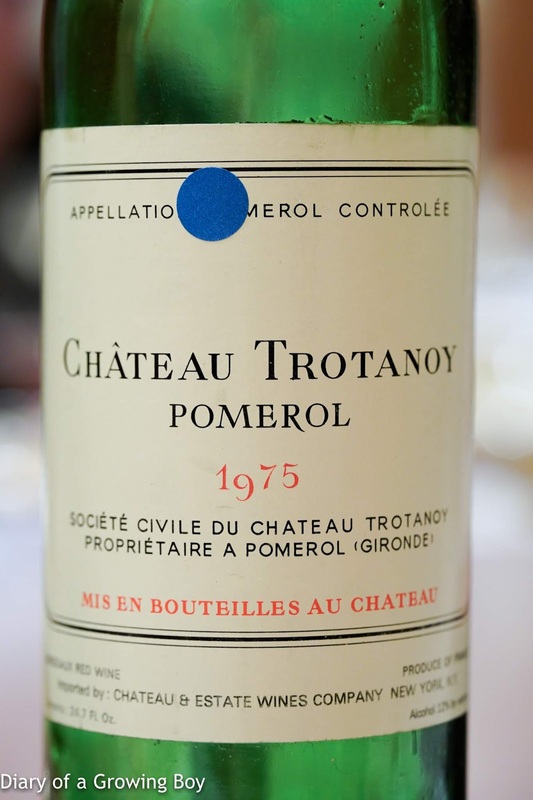 1975 Trotanoy - smoky, minty, showed riper and more woody notes, with lots of sweetness and coconut notes. 96 points. 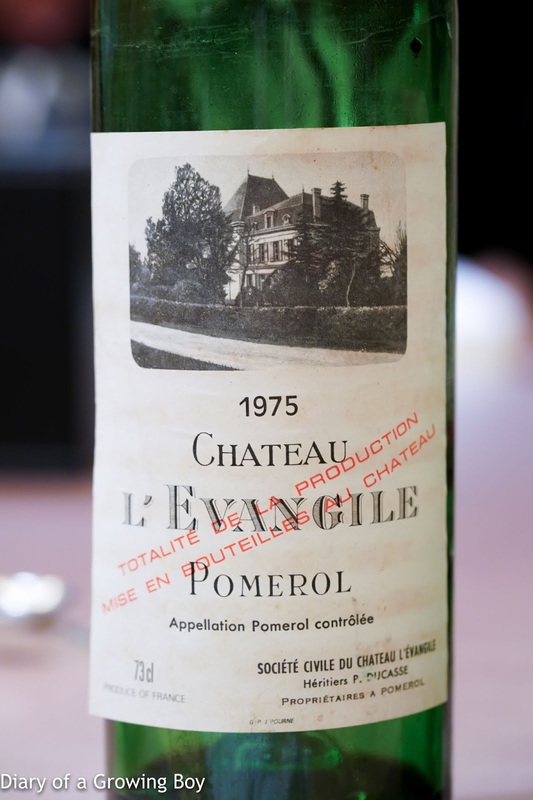 1975 L'Evangile - sweet and grassy, smoky, a little dusty, and some old wood notes. Showing some amber along the rim. Smooth on the palate. 93 points. Second pair: served 2½ hours after opening without decanting. 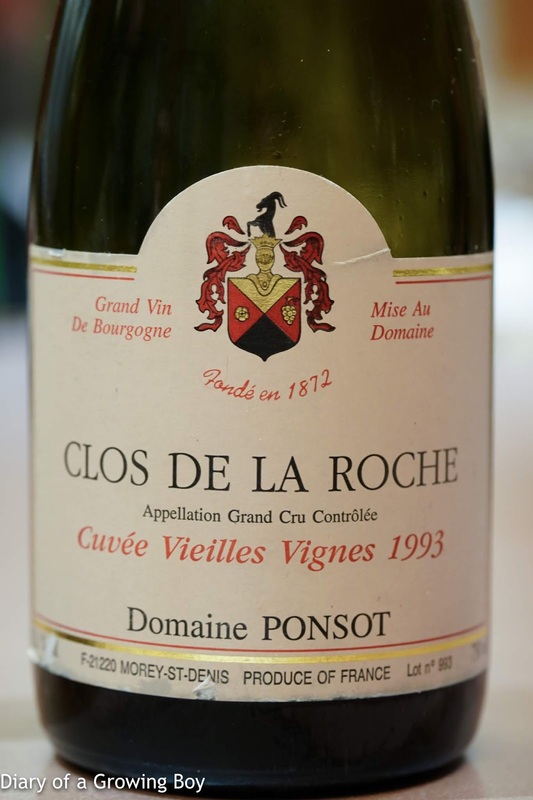 1993 Ponsot Clos de la Roche - very dusty and cloudy with lots of sediment in glass. After the dustiness faded it showed very nicely, with toasty notes and a hint of floral nose. Didn't care for the second pour. 92 points. 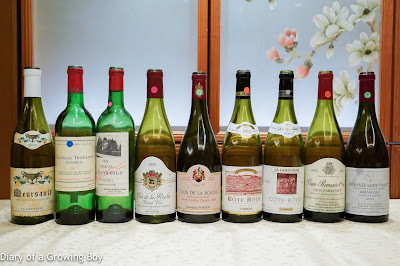 1993 Hubert Lignier Clos de la Roche - cleaner nose with more fruit, but also slightly dusty. After dustiness faded in the glass this showed ripe, sweet fruit... almost bubblegum, and a little tropical coconut. 94 points. Third pair: decanted 1 hour after opening, and served 2½ hours after decanting. 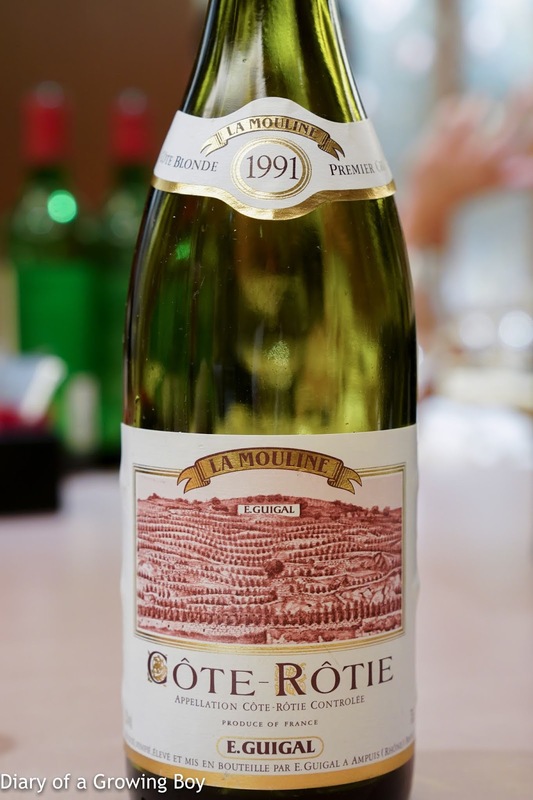 1991 Guigal La Mouline - slightly grippy on palate, but what a beautiful wine! 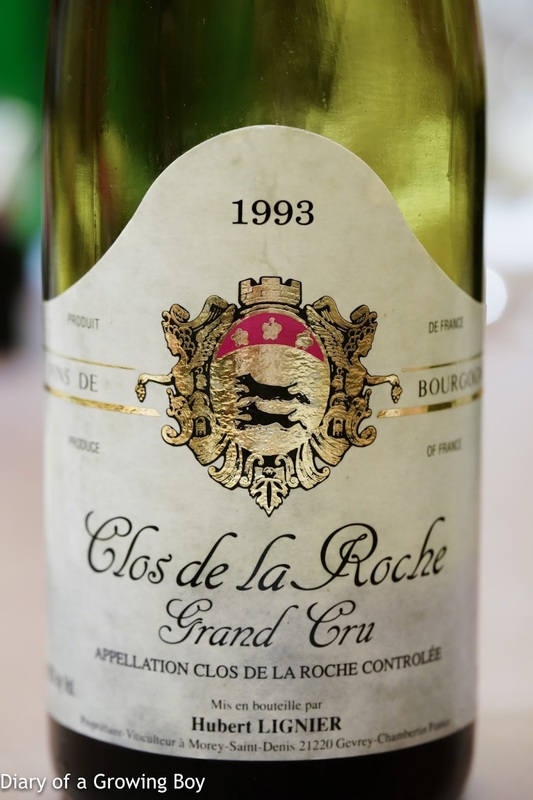 Ripe fruit, a bit smoky, oaky, fragrant, with graphite notes, almost some coffee and a little orange. Acidity on the high side. 99 points. 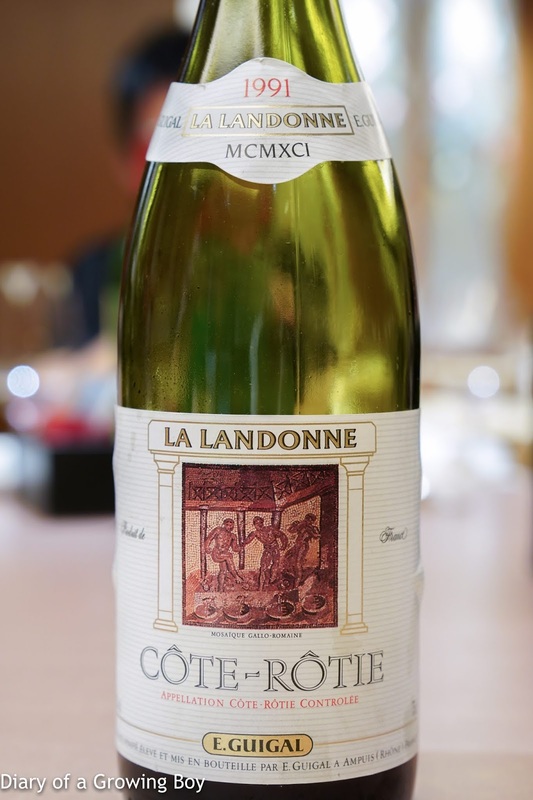 1991 Guigal La Landonne - much riper on the nose, cooler fruit, minty, smoky, much more concentrated than the Mouline. Also a little more closed, with a hint of dustiness. 96 points. Fourth pair: served 4 hours after opening without decanting. 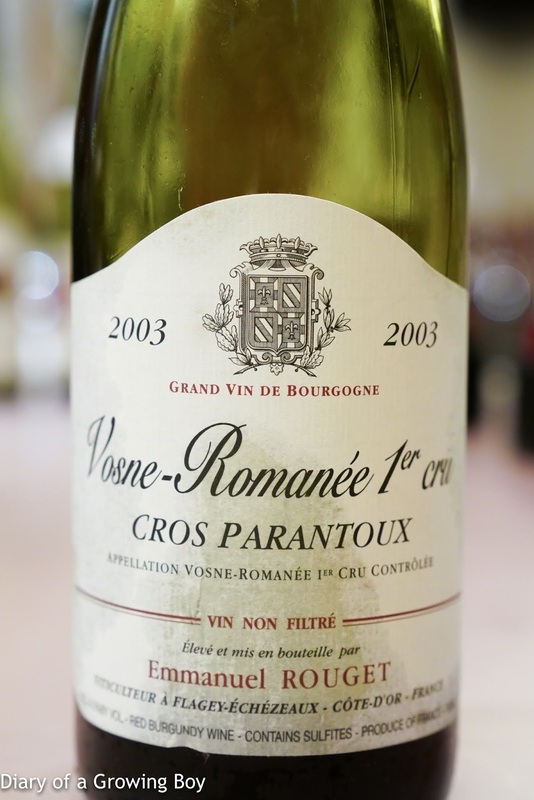 2003 Rouget Vosne-Romanée 1er Cru Cros Parantoux - a little sharp and alcoholic, a little bit of rust, some cool, black fruits, and oaky notes. 94 points. 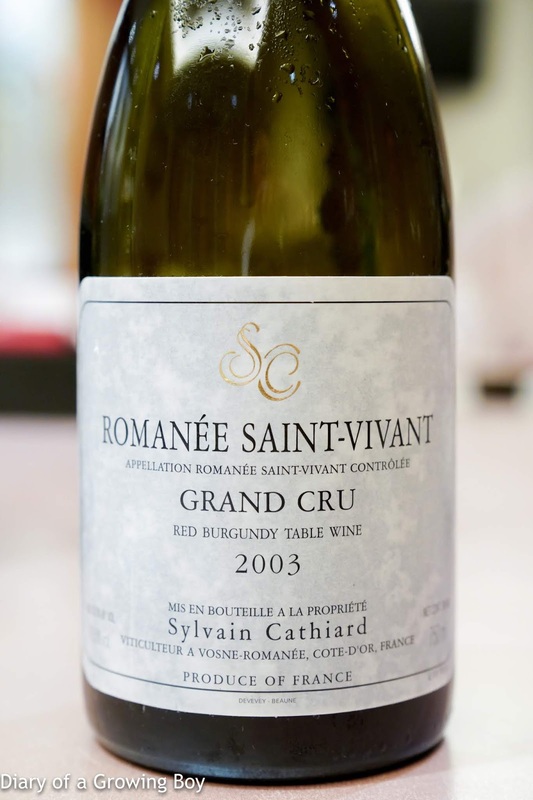 2003 Cathiard Romanée-Saint-Vivant - really metallic and ripe, also a little dusty and a little toasty. Some jamminess. 93 points.